Overnight or layover in a foreign city is a daunting concept. Traveling in a city you don’t know for 24 hours or less and trying to find out what to do in a short time frame. Are you ready for Taipei? 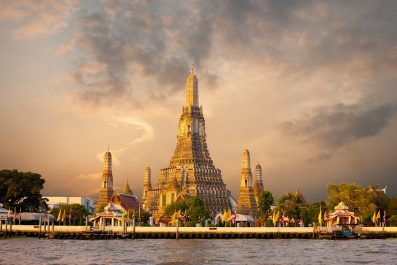 Then, you can take on this challenge made for time-hungry travelers who try to squeeze in as many experiences as possible in a quick foodie itinerary. The city of Taipei rarely comes up in any relevant top 10 travel lists, but it is changing now. You may not consider yourself lucky if your layover happens to be in Taipei, but trust us, there are surprises that you don’t want to miss in this city. Language – The official language of Taiwan is Mandarin Chinese. English is used widely in most areas because it is part of the regular school curriculum. Speaking at least some Chinese phrases or attempting to learn is greatly appreciated by the locals. Currency exchange – New Taiwanese Dollar (NT$) is the official currency of Taiwan. 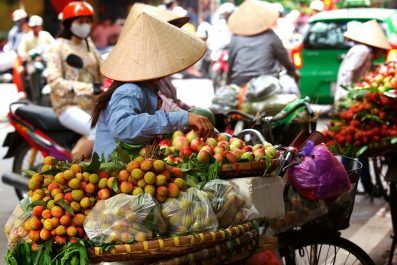 Exchanging money is easy and follows the same standard to elsewhere in Asia. You can exchange currency at the airport, hotels, malls, local banks, and money changers throughout Taiwan. ATMs are plentiful, all accepting international credit cards and debit cards, so it’s easy to withdraw your money in NT$. Credits cards are commonly accepted in most mid-range to high-end restaurants and hotels. Transit Visa – Visitors who have a layover in Taipei are eligible to get a 90 day visa-free stay. Nationalities from Schengen countries (Austria, Belgium, Czech Republic, Denmark, Estonia, Finland, France, Germany, Greece, Hungary, Iceland, Italy, Latvia, Lithuania, Luxembourg, Malta, Netherlands, Norway, Poland, Portugal, Slovakia, Slovenia, Spain, Sweden and Switzerland), the United States of America, Canada, the United Kingdom, Russia, Ireland, Cyprus, Bulgaria, Romania, Ukraine, Serbia, Croatia, Bosnia-Herzegovina, Montenegro, Macedonia, Albania, Brazil, Mexico, Argentina, Chile, South Korea, Japan, Brunei, United Arab Emirates, Qatar, Australia and New Zealand are qualified to take advantage of a 90 day visa-free stay. Singapore and Malaysia passport holders a 30 day visa-free stay. Getting around – Taiwan is not a big country. Getting around is very easy thanks to its comprehensive road system and high-speed railway. In Taipei and Kaohsiung, Mass Rapid Transit (MRT) is the most convenient and reliable way to get to your destinations. In larger cities, taxis are available everywhere. In other cities, buses are the only public transport option. First time travelers are not recommended to drive on their own because driving in Taiwan is a bit tricky and dangerous. Where to stay – There are many types of holiday accommodation in Taiwan, whether you’re looking for luxury hotels to cheaper accommodation like youth hostels and bed and breakfast. There are also plenty of apartment rentals if you prefer the comfort and convenience of having your own place with cooking facilities. In Taipei, hotels/hostels nearby MRT Stations are recommended for travelers. If you don’t plan to stay overnight and go straight to the airport after your layover tour, then you can store your luggage at the luggage counters and baggage storage facilities in Taipei Taoyuan International Airport. Take an international flight to Taiwan Taoyuan International Airport. Try to schedule it so that an overnight flight gets you there very early in the morning. Taoyuan, one of the two international airports in Taipei, is around 40 minutes away from the heart of the city. Taking a bus is the cheapest way to get to Taipei from the airport. Before your travel date, remember to have the Chinese addresses of your hotel/hostel printed on a piece of paper or saved in your mobile phone. Just in case you’ll have trouble navigating, ask the locals, show them the address and they’ll be more than willing to assist you. Depending on your time of arrival, you can either take it easy and soak up the atmosphere in Taipei or you can begin your foodie tour at 9 in the morning. Our first matter of business is breakfast. Obviously, the first meal of every trip should be solid. 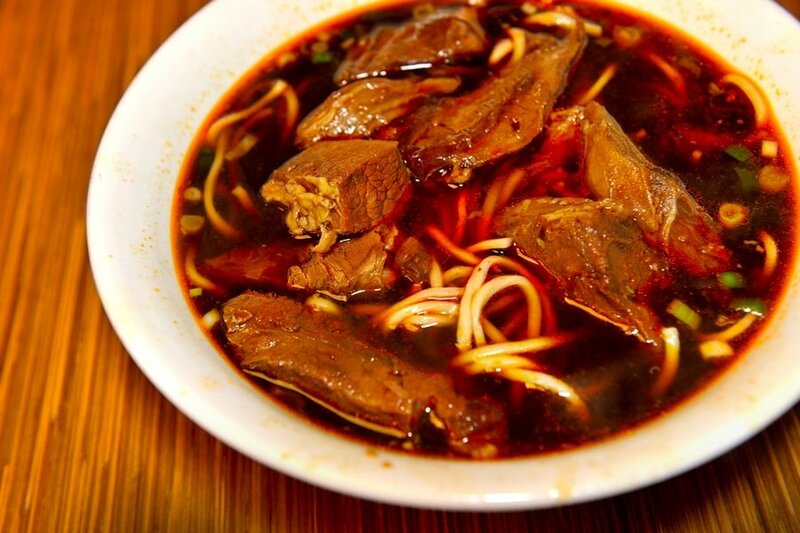 So, we recommend some famous beef noodle soup at Lin Dong Fang at Zhongshan District, Yong Kang at Da’an District or Lao Wang Ji at Zhongzheng District. If you want breakfast on the go, then look no further than Mama Lau Rice Balls located at Hangzhou South Road near C.K.S. Memorial Hall Station. It is made with sticky rice balls, either white or purple rice, pork, eggs, sesame oil and seeds, and sometimes cheese. It’s not the healthiest breakfast in Taipei, but it remains a favorite of people who normally grab their breakfast on the way to work. While touring Taipei, you will surely notice bubble teashops on every corner. Bubble tea, also known as boba milk tea, originated in Taichung City in the central part of Taiwan. Bubble tea originally is made from mixture of hot Taiwanese black tea, tapioca pearls, condensed milk, and honey or syrup. Several varieties of milk tea were made through the years. Today, bubble milk tea is made from tea mixed with milk or hybrid fruit milk teas, with the addition of chewy tapioca balls or fruit jellies. To get the best tasting bubble tea in Taipiei, head to the Chen San Ding Bubble Tea at Luosifu Road, Chun Shui Tang at Zhongshan South Road or SOMA Tea & Mock at Dunhua South Road. For lunch, try Lurou Fan (braised pork with rice), a popular Taiwanese dish that you can find practically anywhere in Taiwan. A perfect bowl of Lurou Fan contains finely chopped pork belly slow cooked in a savory sauce with different herbs and spices. Jin Feng Minced Pork Rice located at Zhongzheng District is to this day one of the best restaurants serving Lurou Fan that consistently stays at the top of best restaurants list in Taipei, which is clearly a strong indication of just how much the locals love it. Summer in Taiwan can be really hot and one of the best ways to cool down is to enjoy some summer desserts. Beans Village, located just opposite of Ning Xia Market, is the perfect place for tau fu fah (soybean curds) based desserts. If you love themed cafes, then you’d be surprised to know that Taiwan also has several themed café and restaurants in Taipei. They have Gudetama Chef, the Gudetama-themed restaurant dedicated to the Japanese egg yolk character, Gudetama. They also have the Choose Me Café and Meals, which is famous for their Totoro cakes, dedicated to the Japanese movie My Neighbor Totoro. For dinner, we suggest Pai gu fan (pork chop rice). Some people might think pork chop is not that special, but in Taiwan, it is so much more than that. They marinate the pork chop in a flavorful sauce and they pan fried it.The result is a tender, juicy and flavorful pork chop. With hundreds of restaurants to choose from, it can be hard to know where to eat pork. So, our suggestion is Emperor Foods Heng Yang Branch at Hengyang Road, Zhongzheng District or Dong Yi Pork Chop Main Branch at Yanping South Road, Zhongzheng District. If you are traveling in a group, we recommend a hot pot dinner at Elixir Health Pot located at Zhongshan District. Hot pot did not originate in Taiwan, but the Taiwanese made their own variation. Elixir Health Pot is one of the most popular hotpot places in Taipei, and we totally understand why. They serve a perfect balance of fresh ingredients, delectable sauces and two types of savory sauce cooked with a simmering pot of stock. The nightlife in Taipei runs the gamut, from the rowdy bars and izakayas (a type of Japanese bar), to red light district and upscale night clubs. If you love craft beers, then the Tasting Room is for you. If you love whisky, then go to MOD Public Bar. If you just want to dance the night away, then there is Korner located at Roosevelt Road. 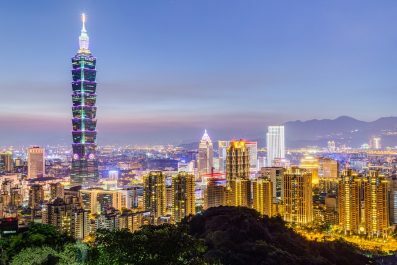 Have you been to Taipei or anywhere else in Taiwan? Do you have any tips or suggestions to share? If so, you can leave your comments below.